Two more photos from my holiday album - above, bird's-foot trefoil and right, marsh orchid. Both of these plants are part of the wonderful range of wildflowers that proliferate on Orkney. 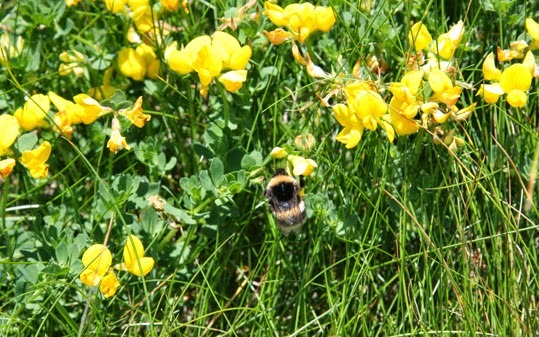 Bird's-foot trefoil is loved by bees. It was once used for dye and fed to livestock. In folklore, bird's-foot-trefoil was associated with crows and sometimes called "crows toes", probably because its black seed pods look like black claws. It was also used for protective magic and could be woven into protective wreaths, along with other flowers, around the time of midsummer. 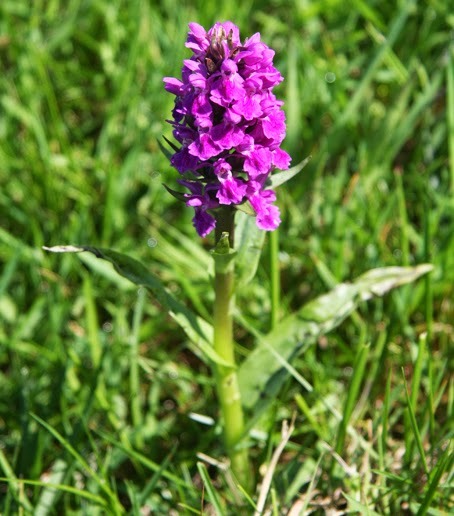 Marsh orchids were once part of the diet of the people living on Orkney because they are very nutritious - especially the tubers, which could be ground up and added to bread. Magically, orchids are associated with Venus and were traditionally used in love spells. Marsh orchids are a protected species these days. Of course, even if a plant is not a protected species, you should never pick wildflowers unless you have permission of the owner of the land on which they grow.